Who says an Oscar makes you a strictly serious actor? 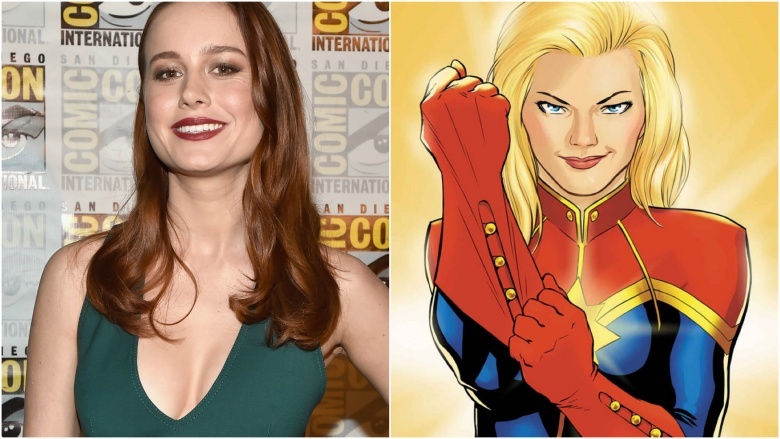 After months of rumors and speculation, Marvel officially announced that Brie Larson will portray Captain Marvel in the upcoming movie centered on the venerable Marvel Comics character. Marvel Studios head Kevin Feige opened up about the high-profile casting with Cinemablend, and said a good word from Captain America (Chris Evans)—and Larson's recent Oscar for The Room—put her over the top to play the superhero and her alter ego Carol Danvers in the Marvel movie universe. "We set the bar very high with the first casting decision we ever made with Robert Downey Jr. as Tony Stark. Since then, every single choice we've made, we have asked, 'Could it meet that bar?' Because that is what people expect of us," Feige said. "Carol Danvers needs to be as rich and textured and real as the best of our characters. Maybe even more so. And we got very lucky that Brie, who has all of those attributes, and an Academy Award now, was still very interested in signing up and joining us to bring this character to life." Captain Marvel first appeared in 1968 and, in 2012, Carol Danvers was promoted from Ms. Marvel to Captain Marvel. Larson won't be the only Oscar darling to join Marvel for its upcoming slate of flicks: Benedict Cumberbatch and Tilda Swinton are in Doctor Strange, Cate Blanchett will be in Thor: Ragnarok, and Michael Keaton will appear in Spider-Man: Homecoming.